Introduction Self-organizing dynamics are fundamental to processes at many levels of the organic as well as the physical world, an idea shaped by both empirical and theoretical research over the last thirty years (e.g., Kauffman, 1993; Laszlo, 1987; Maturana, Varela, & Uribe, 1974; Prigogine & Stengers, 1984). Recent work shows the same self-organization in the brain (e.g., Freeman, 1991; Kahn, & Hobson, 1993; Pribram, 1995; Varela, Thompson, & Rosch, 1991), as well as in the process structure of human experience itself (e.g., Combs, 1996; Combs & Krippner, 1998). This paper discuses self-organizing dynamics in the brain with the intention of understanding the REM dream experience alone and in relation to waking consciousness. The Self-Organizing Brain One way think of the brain is to view it as a self-organizing system comprised of self-organizing subsystems. First of all, how could it be otherwise? Though the brain is usually modeled in terms of neural networks and circuitry, this circuitry certainly is not static. It changes frequently due to influences from neurological development, daily learning, and encoded neuromodulations. In addition, both single unit firing and mass activity is widespread in the brain, implying that process itself is a feature of neural functionality that rivals the importance of anatomy. The electrical circuits in a house or a computer can endure extended periods of inactivity without suffering loss of function. However, self-organizing and self-creating (autopoietic) systems such as ecologies, weather, and living organisms, are constantly in motion, just as is the living brain. The physiology of the brain reveals a wealth of process patterns, which taken as a whole suggest that any final accounting of the nature of brain activity will be made in terms of activities as much or more than in terms of structures. Many if not most of these activities seem fundamentally chaotic in form. For instance, the EEG rhythm is roughly cyclic in appearance, and different categories of activity, such as alpha, beta, theta, or delta, can be recognized on visual inspection. On closer examination, however, it becomes apparent that the actual waveform changes from cycle to cycle. Indeed, it is unlikely that any cycle of activity ever repeats itself exactly, and it is apparently impossible to predict with precision the shape of a future EEG wave. This situation of global familiarity combined with non-repetition and unpredictability defines a chaotic process, one whose action describes a strange attractor (Kellert, 1993). Such attractors appear to be a common if not universal feature of complex self-organizing systems such as living cells, ecologies, and evidently brains as well (e.g., Abraham & Gilgen, 1994; Basar, 1990; Freeman, 1995; Hardy, 1997; Pribram, 1995; Robertson & Combs, 1995; but also see Mandell & Selz, 1997). Studies of the human EEG demonstrate a significant fractal structure, (e.g., Basar, 1990; Screenivason, Pradhan, and Rapp, 1999), suggestive of an underlying self-organizing process (Anderson & Mandell, 1996). The dimensionality of this structure appears to be higher in REM than NREM sleep, indicating greater complexity and a larger number of underlying influences, as would be expected if EEG activity even in part reflects the complexity of accompanying dream experiences. Anderson and Mandell (1996) have made detailed studies of the temporal structure of REM state electrical activity in fetal rats. They believe that such activity reflects self-organizing hierarchical integrative processes in the developing nervous system. Interestingly, there is a preliminary report which indicates that this integrative process may follow an abnormal developmental pathway in the case of autistic individuals (Tanguay et al., 1976). That EEG activity exhibits fractal properties is consistent with the self-evident fact that the brain can be understood as residing in a condition of self-organized criticality (Bak, 1996). A system can be said to be in as critical state if a small perturbation sets it into fluctuation on all scales of length or time, that is, if the response is fractal. A commonly cited example of a critically poised system is a sand of pile ready to cascade into an avalanche when a single additional grain is dropped onto it. Bak points out that the brain is critically poised; otherwise it would not respond globally to the small amount of energy contained in a retinal image or a sound heard near the auditory threshold. However, the brain unlike the sand pile is not a static structure. It is an extremely complex dynamical process system, the product of its own self-organizing tendencies. Thus it can rightly be said to exhibit self-organized criticality. With regard to the importance of self-organized criticality in biological systems, Stewart Kauffman (1993) observed that “selection achieves and maintains complex systems poised on the boundary or edge between order and chaos. These systems are best able to coordinate complex tasks and evolve in a complex environment” (p.xv). Organized criticality in a chaotic system is just another way of talking about the popularly termed butterfly effect, or “sensitive dependence on initial conditions” originally discovered by meteorologist Edward Lorenz (1963) while investigating models of fluid convection (e.g., Kellert, 1993; Peak, 1994). Its relevance here is that the smallest of influences active in the sleeping brain might have sizable effects after just a few cycles of activity. However, by its very nature the butterfly effect is unpredictable, and while it might add to the spontaneous creativity-read randomness-of the dream process, it does not help us understand how the brain might respond in an ordered way to subtle internal stimuli such as those discussed below. It is also helpful to understand activity in the dreaming brain in terms of stochastic resonance. This is a well known effect that has been studied in a variety of media, ranging from electronic circuits to nerve cells (Moss and Wiesenfeld, 1995), by which vibration or noise keeps a system in motion and on track, rather than allowing it to get caught in small groves or “minima.” A simple example of stochastic resonance is a cup that “walks” across the surface of an uneven vibrating tabletop, following the course of least resistance from higher to lower regions of the surface. The vibrations keep the cup from getting stuck along the way because of friction and small groves in the surface. Stochastic resonance can improve the effective signal-to-noise ratio in a communication situation. In the brain it may allow ongoing processes to “relax” into inherently natural patterns of activity, an important point to which we will return shortly. Before doing so, let us consider the possibility that the brain’s activity, like that of other extremely complex systems such as the weather, can be understood as an exquisitely intricate strange attractor, one exhibiting an intricate array of “wings” or “compartments” (Goertzel, 1994). During wakefulness the shape of this attractor, especially in the sensory cortices, is powerfully constrained by sensory input, which itself is often highly patterned (e.g., Gibson, 1966, 1979). Freeman and his colleagues (Freeman, 1991, 1995; Freeman & Barrie, 1994) have mapped such attractors in a variety of different sensory cortices. They found that the sensory regions of the brain are critically poised to respond robustly and in an ordered fashion to even the smallest stimulation. In the REM state, however, such attractors are not constrained by sensory input. In this state the self-organizing dynamics of the brain are set into motion not by external stimulation but by its own internal situation. Interestingly, it is possible to find such self-organizational dynamics at work in the waking state as well. Freeman, for instance, discovered that new learning experiences actually modify previously established cortical activity patterns. For example, a rabbit’s original cortical response to an odor is altered when the odor is experienced in a new context, such as a classical conditioning situation. 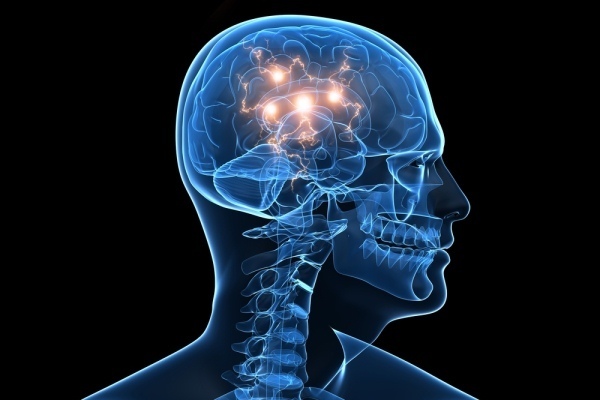 Freeman interprets such changes to signify that the meaning of the stimulus is as important in the production of the brain’s response as the physical structure of the stimulus itself. Speaking informally, Freeman (1997) once observed that if one sees Hamlet, then sees Rosencrantz and Guildenstern are Dead, returning to Hamlet one finds it to be a different play. The Dreaming Brain Tononi, Edelman, and Sporns (1998; Tononi & Edelman 1998) argue that the complexity of a living organism is not represented by a fully integrated system, as exemplified by the structure of a crystal, or by a differentiated and unconstrained system such as seen in an ideal gas. Rather the complexity of a living organism lies at an intermediate point where structural elements are sufficiently undifferentiated to engage in “unplanned” interactions, while at the same time sufficiently integrated to allow many of the relationships between them to be stable. The human brain, with its many interconnections and its many individual elements, is an example of a complex self-organizing system within a larger complex self-organizing system, the human body. It is a system that is capable of moving between very many states. Thinking is an example of a self-organizing action of the waking brain (Combs, 1996), and dreaming is an example of a self-organizing action of the sleeping brain, especially in REM sleep (Kahn and Hobson, 1993; Kahn et al., 2000). During REM sleep, brain activity is not constrained by external stimulation as it is during waking. The brain is as active as it is during waking, 4 but information processing is inwardly oriented, occupied, for example, by memories and feelings, as distinct from extroceptive input which dominates waking life. In this state a number of factors combine to make it acutely reactive to internally generated influences. Not only are the stabilizing effects of external sensory input actively inhibited, but there is a shift away from widespread aminergic neuromodulatory inhibition, which dominates the waking brain, toward cholinergic modulation, predisposing it to easy activation (Hobson, 1994, 1988). To be more specific, during REM sleep norepinephrine and serotonin containing neurons cease firing while acetycholine containing neurons fire more actively. The loss of the aminergic neuromodulation (norepinephrine and serotonin) is associated with a decrease in signal reliability (Foote, Bloom, & Aston-Jones, 1983) and an increase in the error rate of neuronal firing (Mamelak and Hobson, 1989). The increase of cholinergic containing neurons is associated with the initiation of the rapid eye movement (REM) generator (Hobson and McCarley, 1977). 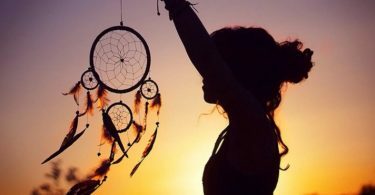 In addition to a changed neuromodulation, certain areas within the dreaming brain are connected functionally in a different way than in the waking brain, as recent PET studies have disclosed (Braun, et al., 1997, 1998; Maquet, et al., 1996; Maquet, 2000). Because the interconnectedness of the dreaming brain is different from that of the waking brain, it self-organizes differently. The brain has developed specific yet dynamically changing connections between groups of neurons for specific tasks. Active connections with and within the dorsal lateral prefrontal cortex (DLPFC) are necessary for short-term memory, planning, and volitional actions. For example, working memory for face recognition, and short-term visual memory for objects and faces, has been shown to involve the DLPFC in conjunction with areas in the ventral pathway in the inferotemporal cortex (Goldman-Rakic, et al., 1998; McIntosh et al., 1996). These PET studies have shown that the DLPFC is much less active in the dreaming brain than in the wake brain. In addition, these PET studies (Braun, et al., 1997, 1998; Maquet, et al., 1996, 1997) show notable arousal of the extrastriate visual cortex, especially in the ventral processing stream. The fact that activation is also seen in limbic and para-limbic structures, most significantly in the anterior cingulate and the amygdaloid complexes, while at the same time activity in the dorsolateral pre-frontal cortex is markedly reduced, point toward emotional arousal and at the same time suggest a reduction of memory as well as a diminished capacity for logic and self-reflection. All this is entirely consistent with many studies of the subjective qualities of REM dreaming (e.g., Hall & Van de Castle, 1966; Tonay, 1991). 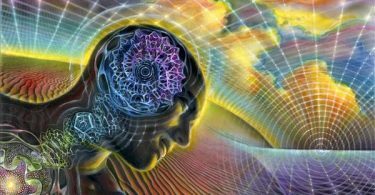 They are also consistent with the hypothesis that the dreaming brain self-organizes differently than the wake brain, not only because the dreaming brain is minimally receptive to outside stimuli, but also because of its changed functional activation patterns and its changed neuromodulation. It is interesting that Braun et al. (1998) report decreased activation of the primary visual cortex during REM. This observation may seem surprising, since a deactivated primary visual cortex due, say, to a stroke, results in the absence of visual awareness. It is, however, consistent with the suggestion that the conscious experience of vision is more directly associated with the extrastriate association areas and their connections with the frontal cortex than with the primary visual cortex itself (Crick & Koch, 1992; Koch, 1998; Revonsuo, 1998). In line with this, lesion studies show that damage to the extrastriate cortex, as well as damage to the parietal operculum and to the mediobasal frontal cortex, result in decreased dreaming (Solms, 1997; Hobson, et al. 1998). Neurological patients who report a global cessation of dreaming typically exhibit damage in the parietal convexity, or have suffered disconnection of the mediobasal frontal cortex from the brainstem and diencephalic limbic regions (Solms, 1997; Hobson et al. 1998b). Solms (1997) suggests that since the parietal convexity is important for sustaining the visual activity implicated by visual phenomenology, a crucial link exists between dreaming and some of the brain’s highest regulatory and inhibitory mechanisms. He found that REM continues even after patients report complete lack of dream phenomenology. Solms (1999) argues that if dreams completely cease when specific cortical areas are damaged, yet REM is preserved, there is no place for a passive, non-initiating, cortex in a robust theory of dreaming. The question of whether cortical structures are involved in initiating dreaming is, indeed, controversial and has been addressed in Hobson, Pace-Schott, and Stickgold (2000) on one side, and by Antrobus (1990), on the other. PGO Stimulation, the Dream, and the Self-Organizing Brain One of the most striking features of REM sleep is the bombardment of the optic cortex with large pontine-geniculate-occipital (PGO) spikes, which release powerful cholinergic stimulation (Callaway et al., 1987). These spikes originate in the lower brainstem, travel upward to the lateral geniculate bodies, and then on to the occipital lobes. Their discovery led Hobson and McCarley (1977) to offer the now classic activation-synthesis hypothesis, according to which dream experiences represent the efforts of the cortex to make sense out of this apparently random activity. In other words, this PGO activity is interpreted by the visual brain as sensory stimulation. The implication of this view was that dreams are meaningless from the perspective of high level cognitive or emotional process. Taken on face value this notion leaves relatively little room for dream experiences to be taken seriously as meaningful. 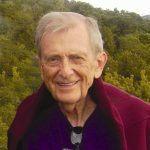 Since then, however, Hobson and one of the present authors took the initial steps toward exploring the notion that the content of dream consciousness is the result of self-organizing dynamics in the brain (Kahn & Hobson, 1993). This idea was further developed in a recent paper authored by all three of the present writers, and is continued in the present paper (Kahn, Krippner, & Combs, 2000). The basic aim of all three of these papers is toward understanding how coherent dream experiences can arise in the context of seemingly unpatterned PGO stimulation, as well as other chaotic-like aspects of brain function. We suggest that PGO activity has two effects on the dreaming brain. First, the bombardment of the cortex by PGO spikes might act as a perturbation to the dreaming visual cortex, creating stochastic resonance. This raising of the cortical “temperature” by PGO stimulation would allow the ongoing patterns of cortical activity to “relax” into natural forms (attractors) shaped by residual emotional and cognitive influences present from moment to moment. Thus, the dreaming brain, isolated from extroceptive sensory constraints, becomes subject to subtle influences that might exert sizable patterning effects on neural activity (Combs & Krippner, 1998). Such effects might be felt experientially as the conscious flow of the dream. This does not mean that dream narratives carry no forward momentum of their own. Indeed, the creation of stories seems to be virtually obligatory to the human mind and brain. Rather, the pelting of the cortex does not allow the cortical system to stagnate, but keeps it in a forward motion that is sensitive to the moment to moment changing psychophysiological state of the brain-in other words, keeps the dream narrative in motion. Approaching dreaming in the brain from a similar direction, Globus (1989, 1995) holds that dream narratives are not assembled from memories that combine according to syntactic rules, but rather are created de novo as underlying neural networks relax from moment to moment into natural minima. De novo creativity has no elementals. The whole product is fashioned at once and is not made of individual pieces. As an interesting aside, we note that PGO timing becomes progressively more coherent over the neocortex during periods of REM sleep, suggestive of an underlying self-organizing stochastic process (Amzica and Steriade, 1996). Second, the effect on the cortex of the bombardment of PGO spikes might be to frequently disrupt ongoing patterns of activity, resulting experientially in abrupt plot or scenery shifts. At the level of cortical brain activity these can be understood as catastrophic bifurcations. Mamelak and Hobson (1989), for instanced, have argued that PGO stimulation is tied to the high rate of plot shifts experienced during REM dreaming. Such shifts are more frequent in REM dreaming than during dreaming reported from NREM sleep (Cavallero, Cicogna, Natalie, Occhionero & Zito, 1992). Such shifts are evidently essential to the “bizarreness” of REM dreams (Porte & Hobson, 1986). Abrupt transitions in dream content are made all the more effortless during REM sleep by a diminished short term memory and the loss of a continuous objective sense of self (e.g., see Purcell, Mullington, Moffitt, Hoffman, & Pigeau, 1986), both perhaps related to the fact that the prefrontal lobes are essentially taken off-line in the REM state. As for other influences that mold the content of dreams, the presence of high activation levels in certain limbic structures during REM sleep is consistent with the idea that emotional factors play a significant role in dreams. The brain clearly does not receive such emotional influences passively, however, but incorporates them into complex self-organized attractor patterns that play themselves out as dream narratives (Combs & Krippner, 1998). Additional influences on dream content also include long-term episodic and semantic memories, “relaxed” into the dream narrative, as well as recent experiences whose emotional residues remain written on the mind and the brain for as long as a few hours to a few days (Globus, 1989). For instance, Freud (1900/1955) correctly pointed out that much dream content is directly related to events of the prior day, a view that has found general support ever since (Hall & Van de Castle, 1966). According to Globus’ (1995) view, sleep states evolve naturally in a self-organizing brain that operates under mutable constraints. A particular dream experience relies on the pattern of organization operating at the moment. Influences such as emotions activate low threshold meanings in a way that is changed by the tuning of constraints. Learning is one such constraint, as are connection weights between neurons at the synapse level. The constraint structure defines a set of possibilities, which in turn dictates what input the cortical system resonates with. According to these constraints, the cortical system settles into an actual dream state. No rules are followed, rather the system flows according to emergent chaotic attractors. Interestingly, the sensitivity instilled by the influence of stochastic resonance may be sufficient to release subtle influences including narratives and symbols laid down as Hebbian networks early in the development, perhaps through personal experience or even genetic patterning (e.g., Edelman, 1992, 2000). If such networks exist they could do much to give the interpretative views of dynamic psychology a grounding in the study of the brain. The details of how the brain transforms each night’s constellation of emotional and cognitive influences into the rich fabric of dream life remains a deep mystery. However, these nocturnal productions in which reality is essentially preserved, but stretched, turned about, and parceled out into fragments, intuitively seems much more like the outcome of dynamical processes than of computational ones. Though dreams will remain a mystery, the authors hope that they will now become a mystery of the brain-mind system, from which a unified science and subsequent understanding can emerge.